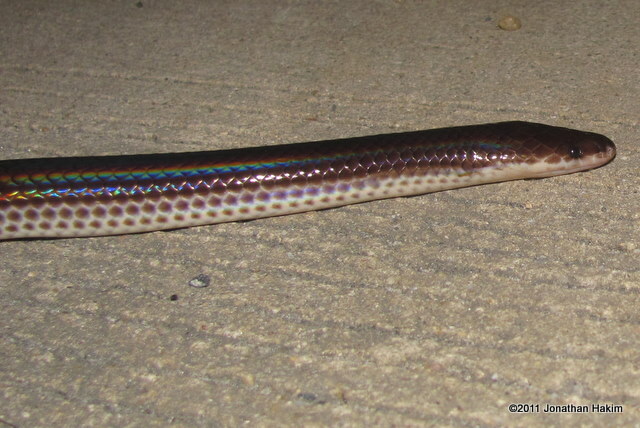 Description: To 130cm long. The head is shaped like a wedge, helping it to dig into soil. 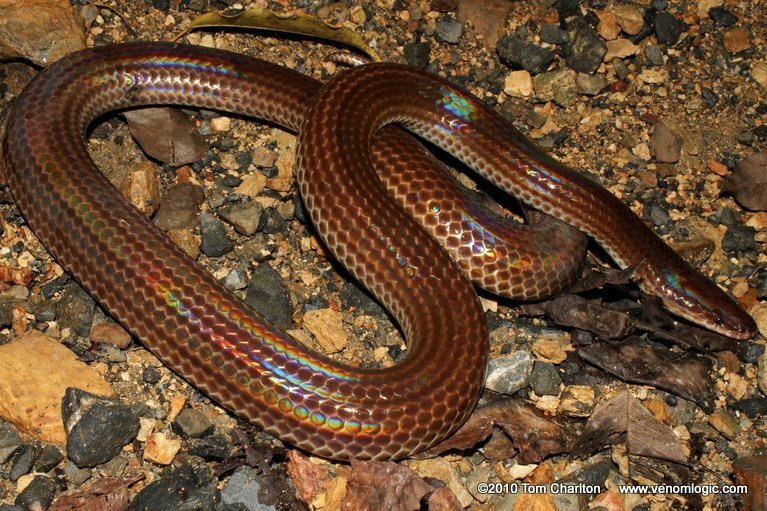 The scales of the Sunbeam Snake are highly iridescent and give off many colors in sunlight, leading to its common name. 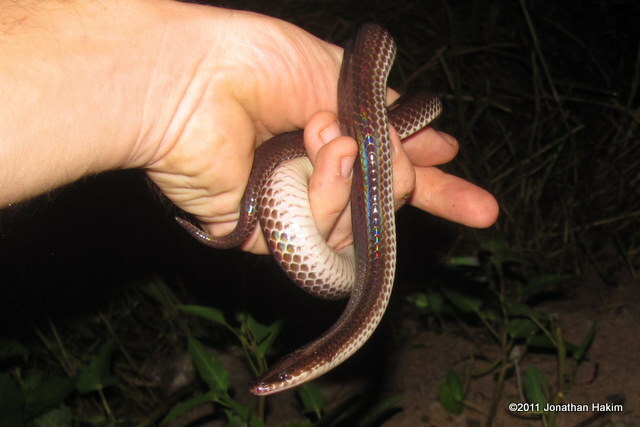 Otherwise the body is reddish brown to blackish on top and whitish-gray below. 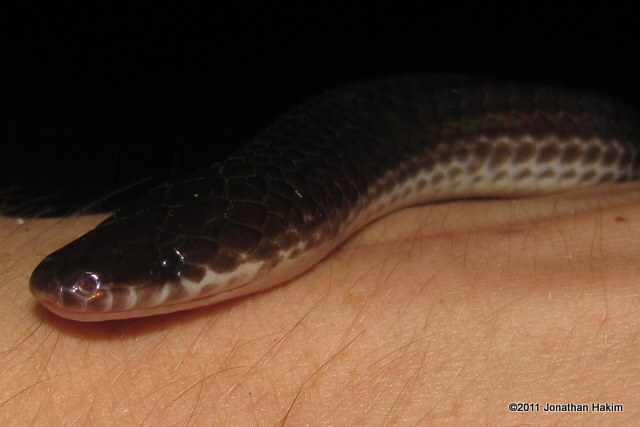 Juveniles have a white collar around the neck. 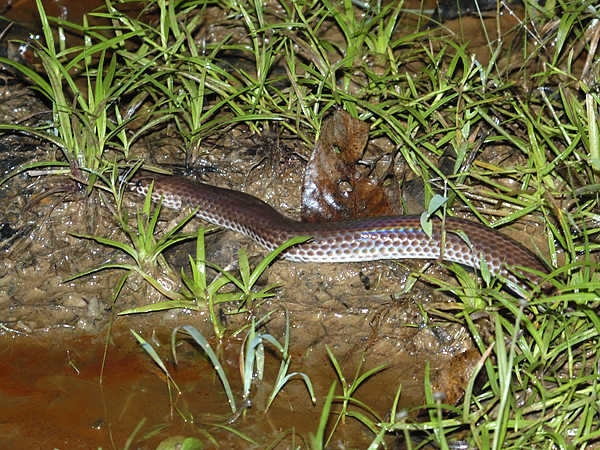 Similar Species: Red-tailed Pipe Snake has a shorter, thicker tail and black/white bands on the underbelly. 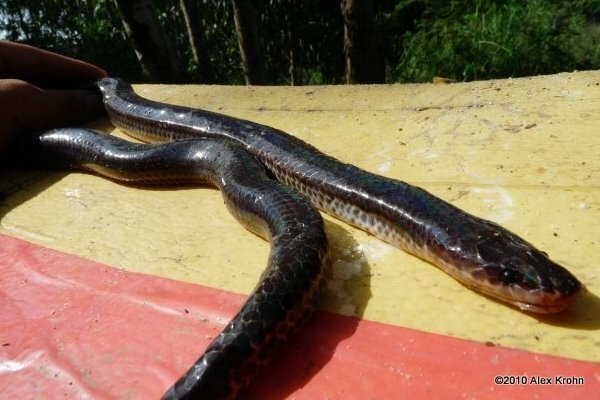 Yellow-bellied Water Snake is not nearly as iridescent, has a broad head as opposed to a narrow wedge-shaped head, and is yellow-to-cream on the bottom. 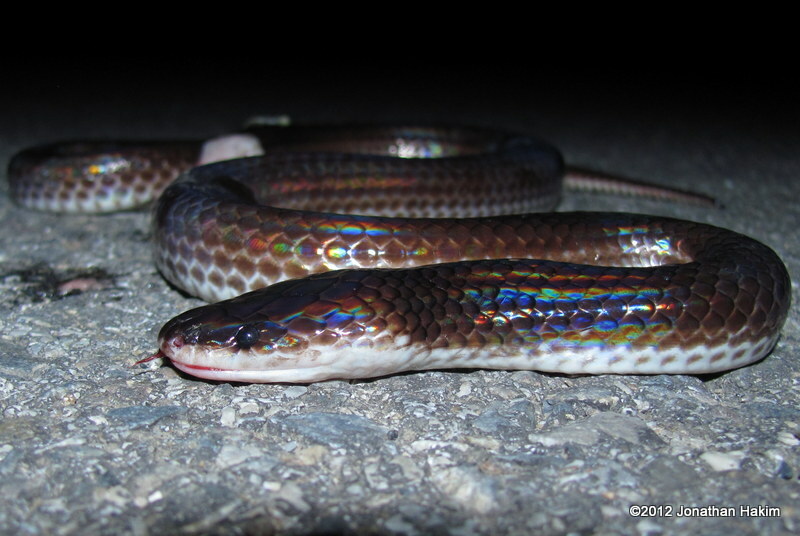 Rainbow Water Snake has light and dark lines running down its body rather than iridescent scales and has a longer, skinnier tail. Habitat: Open areas such as forest clearings, scrubland, marshes, rice paddies, parks, and gardens. Hides in rodent burrows, decaying vegetation and compost heaps during the day. Only comes out from under cover on overcast or rainy days and at night. 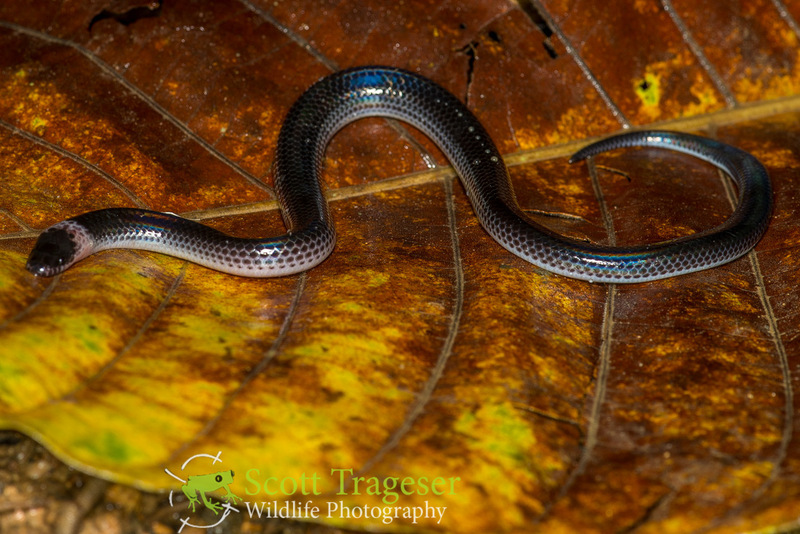 Place in the ecosystem: The Sunbeam Snake helps control rat and mice populations by eating small rodents, as well as frogs, lizards, and other snakes. 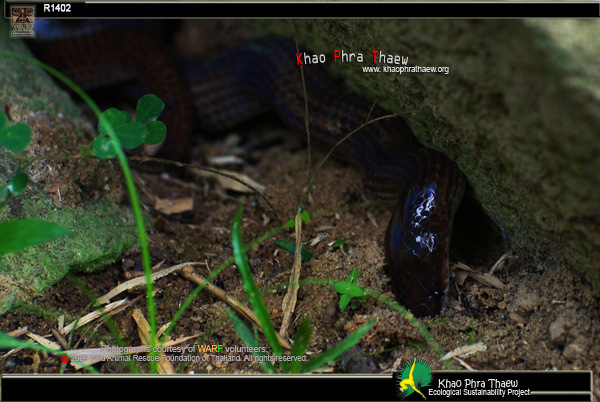 It is eaten by larger snakes and monitors. Danger to humans: Rarely bites, has no venom and is not dangerous to humans. Conservation status and threats: Is currently common due to its wide distribution and tolerance for many habitats, including areas close to human habitation. However, it is captured in large numbers for its skins and the pet trade and thus could face declines in the future. 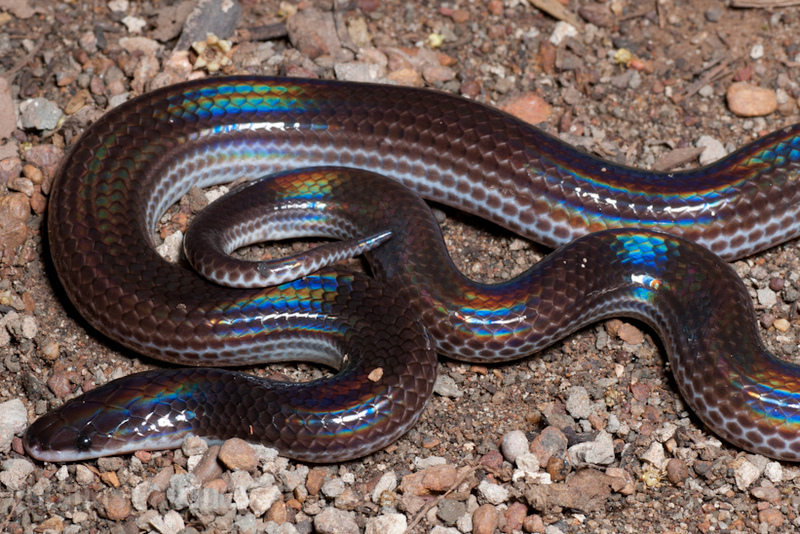 Interesting facts: When bothered, the Sunbeam Snake will jerk its body around and shake its tail as a warning, but will almost never even open its mouth to bite. It also produces a very foul-smelling musk.